The code-looking EoMEoTE#10 is just that, food blogger code for End-of-the-Month Egg-on-Toast Extravaganza from the ever-witty Cook Sister, written by a South African living in the UK who's been bitten by Dr Seuss, it seems. 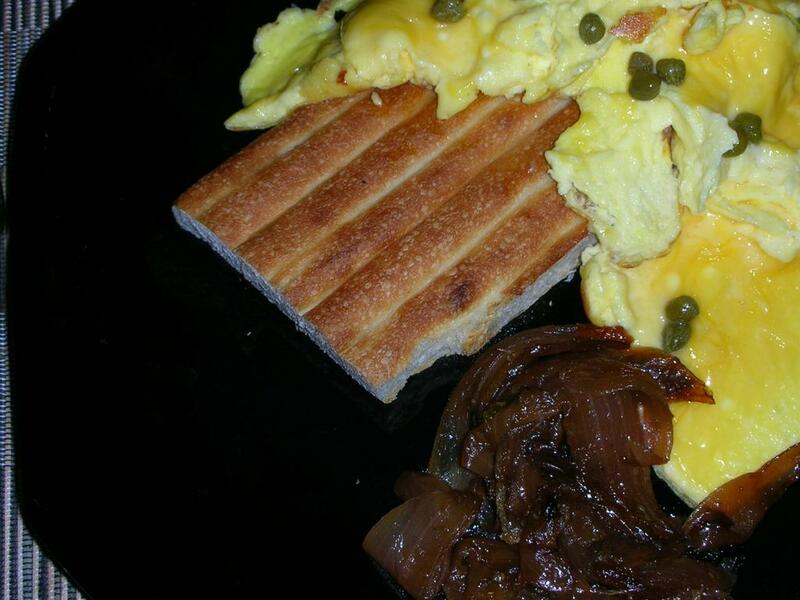 And here's A Veggie Venture's first contribution, this morning's Alex's French Eggs on toasted flat bread with sautéed onions on the side. The onions were much prettier a few days ago but now, after cooking for three hours (yes, HOURS) they're edible.